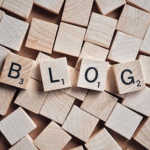 I have put this review together using a combination of my personal experience, advice from both hobby and professional seamstresses, and publicly posted online reviews. 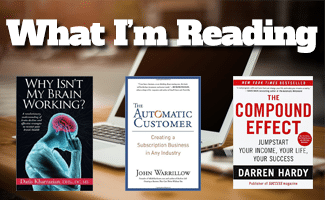 No need to spend hours on Amazon dazed by the hundreds of choices – I’ve already done the hard part for you. 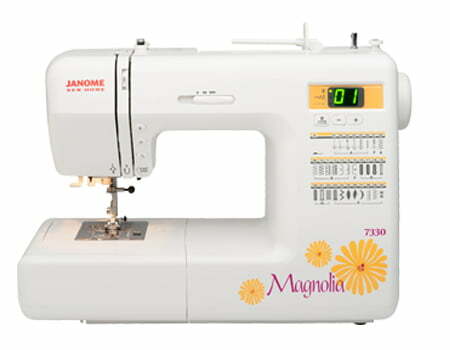 Simply pick your machine type (Beginner, Heavy-Duty, Embroidery, and/or Serger), identify your price point, and go to town! Note, this review is tailored (no pun intended!) for the online shopper and does not include certain luxury brands that are only available at physical retailers. Is your child talking of becoming a fashion designer one day? Are you hoping to do some simple alterations or home dec projects? Then what you need is a reliable, inexpensive machine without too many bells and whistles to get in the way of your work. Once you understand the basics, and know what special features you need in a machine, you can start the dangerous (to your wallet) process of upgrading. The JIAYI-202 does one stitch, the running lock stitch, but it does it very well. All tension adjustments are manual, which gives the user complete control. Two speeds (with foot pedal), so you can go slow or fast as needed. Compact size (9.2”x8.4”) makes this the perfect travel machine. Not recommended for thicker fabrics, (e.g. upholstery, hemming jeans). No zigzag stitches for knits or fray-prone fabrics. Small working surface not ideal for large projects, like curtains. 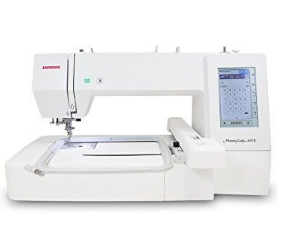 Who’s It For: Perfect for children just starting out, or for those who sew only very occasionally, the JIAYI-202 is an inexpensive choice that will let you decide if a more robust sewing machine is worth your investment. Compact size, though a bit larger than the JIAYI at 10.8”x10.4”. 8 different stitches for more versatile applications, including sewing knits, blind hems, etc. Forward and reverse options for locking stitches. Metal parts last longer and work more consistently that similar models with plastic parts. Still not recommended for very thick fabrics, but could probably handle thinner denims or single weight upholstery fabric seams (think making throw pillows, etc.). 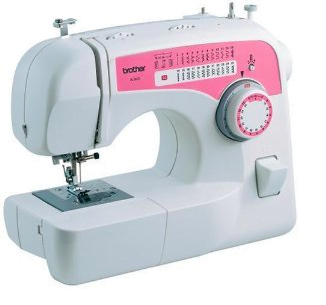 Who’s It For: This machine is a good starter choice for anyone new to sewing. Younger children might need more parental guidance getting it set up, due to the increased number of features, but young and old alike will enjoy the Michley LSS-505’s simplicity and function. 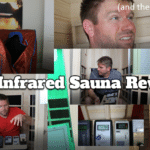 While the price often hovers around the $50 mark, there are sales every so often that bring this machine to the under $50 category – and for that price, it’s well worth it. -Adjustable tension, stitch, and stitch length for a variety of fabric weights and weaves. -Multiple presser feet for different applications, including buttons and button holes. -Stitches labeled by purpose: an excellent reference for beginners. -Built-in bobbin winder for convenience. -Available in White, Teal (Petrol), Raspberry, or Pale Gold (Honey). -Unconventional side-load bobbin takes some getting used to. -No speed control outside of foot pedal, no option to limit max speed on machine. -Doesn’t hold up over time. As most experienced seamstresses/tailors will tell you, Singer is no longer the top quality brand it used to be. Their interior parts are largely plastic, and prone to warping and/or breaking at inopportune times. However, with the inferior construction comes a much more wallet-friendly price point, and due to the brand’s popularity, a knowledgable repair person is never hard to find. Great for someone with upcoming sewing needs – lots of pants to hem, or several sets of curtains to make, but no long-term sewing ambitions. 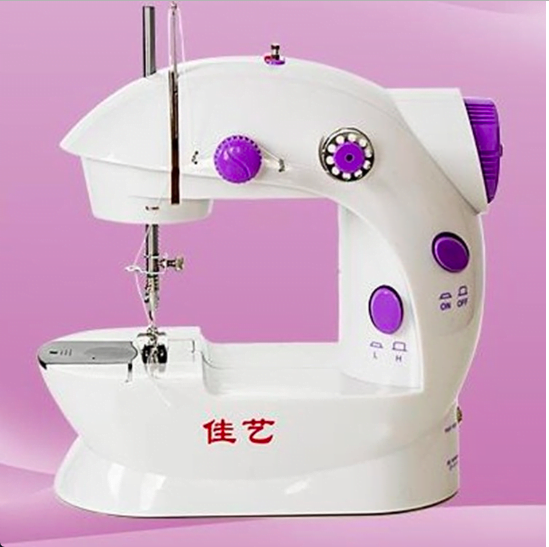 If you’re looking to start making garments, or producing many home decoration items, but you’re on a budget, go ahead any buy this machine, but plan to upgrade in 1-3 years when it gives out. 25 stitches and multiple presser feet allow for sewing most fabric weights and weaves. Built in bobbin winder, thread cutter, and needle threader for ease of use. Complete control of tension, feed, and stitch sizing. Some users find the zipper foot difficult to use. No speed control on the machine itself, and max speed is on the slower end. 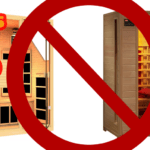 Requires yearly oiling, which can be costly if not done yourself. Good choice for a budding hobbyist. 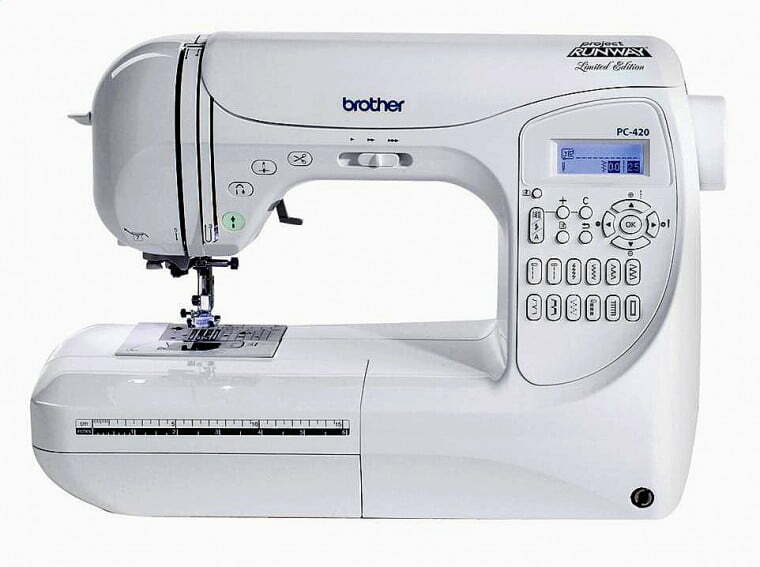 If you want a machine that will be used several times a month, last 5+ years with minimal maintenance, and produce consistent results, I’d recommend the Brother XL2610. 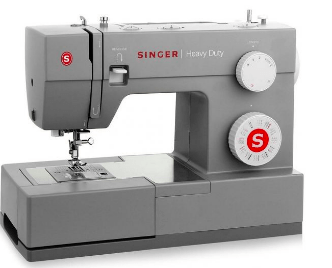 It has the functionality you need for most home sewing, and is especially well suited to those who prefer to work at a slower pace, with more control over every seam. -Every stitch a beginner could ever need, plus a few more for fun. -Auto needle threader might take a few minutes to learn, but will save you several minutes whenever you change out your thread. -Comes with a presser foot for every need, and a very helpful manual that explains their uses. -Quilting table allows for more stability when working on fine details (or when quilting). 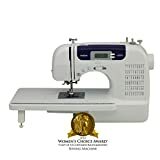 -This machine lets you dabble in apparel, home dec, quilting, and other styles of sewing, without owning separate devices. -The stitch options can be overwhelming for a true beginner. This machine is not recommended for children under 12. -While this machine advertises some embroidery stitches, including a basic monogramming alphabet, if you are planning to do any significant amount of embroidery, or you want to recreate the look of professional monogramming shops, the features on this machine will not give you what you want. You’ll need to look into specialized embroidery machines. -While Brother machines are known for holding up well over time (and through the occasional sewing-induced rage, as my personal machine can attest), there are fewer authorized repair persons/shops, so when a part does eventually need replacing, finding someone to do the requisite work can be difficult. This is one of the most popular (and my personal favorite) beginner sewing machines, and with good reason. 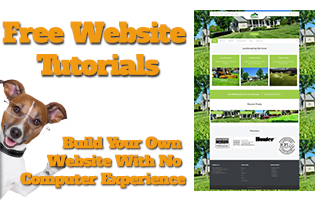 It’s simple and straightforward to use, but it’s functionality will grow with your skills. It is very possible to do professional/production sewing on this machine with minimal frustration. 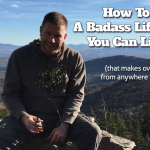 So You’re Not a Beginner Anymore – Now What? Depending on how often you sew, after a few months or years of practice you should have a feel for what you like and dislike about your machine, and what sort of projects you spend most of your time working on. Many home sewers find that a basic machine is enough to fit their needs, but if you find yourself wanting to do more than your machine can handle, read on for the top five embroidery machines, top five heavy-duty machines, and the top five sergers to add to your sewing arsenal. While not inexpensive when compared with traditional sewing machines, embroidery machines can quickly turn your hobby into a home-based business. A single school sports team often has embroidered sweat bands, warm ups, and/or duffle bags. Monogramed towels and robes are popular wedding gifts. Whether you plan to sell your craft or simply decorate your home with professional quality motifs, the right embroidery machine will send you well on your way. This machine sews as well as embroiders, which is good for those with limited space for multiple machines. Comes preloaded with 70 embroidery designs, 120 frame pattern combos, and 5 lettering fonts. Additional patterns can be bought online and run on the machine while hooked up to your computer. 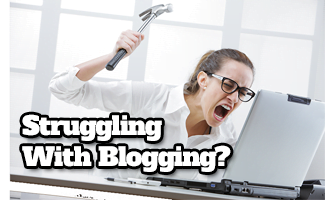 Relatively simple to set up and use, ample resources available online for troubleshooting problems. Embroidered area is limited to 16 square inches. You will almost certainly be spending more money buying additional patterns online, and this can add up quickly. 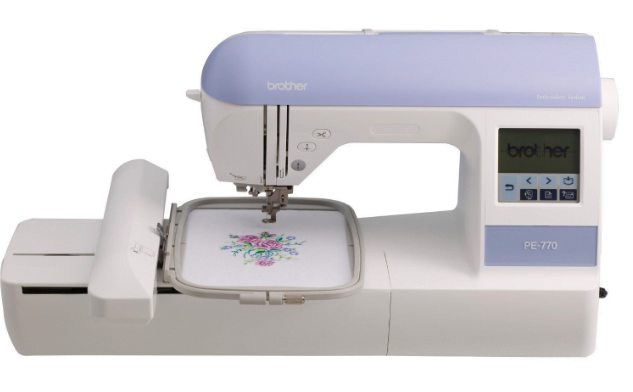 For a first embroidery machine (and possibly a last embroidery machine, if your intended use is never more than 16 square inch pieces), the value of the Brother SE400 is hard to beat. This machine is a great choice for hobbyists, but it was not designed for particularly heavy use – the more you use this machine, the more frequently you should have it taken in for maintenance and tune-ups. Note that purchased designs cannot be stored on the machine, and you will need to connect your computer while using those designs. In addition to all the embroidery features of the SE400, the PE770 has built-in memory, so you can save your most-used patterns to the machine, in addition to the 136 preloaded designs that come with the initial purchase. You can connect this machine to a computer, or you can simply insert a USB drive with the files you need. Edit designs on the machine before you stitch them. Push-button automatic needle threader saves time and frustration. Finding the right tension, especially on the bobbin, is more difficult on this machine than it should be for the price. Manual leaves a lot to be desired, but many users find Brother customer service (on the phone) to be helpful in troubleshooting issues. Without meticulous care, will not hold up to heavy use. I want to love this machine more than I do – which is a common sentiment among users. Refurbished machines in particular are prone to needing expensive repairs early on. Users who take the time to play with all the settings, and keep their machine well oiled and cleaned are rewarded with consistent results and many years of embroidering success. However, if you’re not comfortable with tinkering and making frequent tension adjustments, this may not be the machine for you. Connects to computer, allowing you to buy or make your own designs. Comes preloaded with 125 designs and 5 fonts. Doubles as a sewing machine to save space. 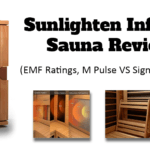 Users either love or hate this machine, as a small but real percentage of online buyers receive faulty devices with little to no support from Singer. As with other low-end machines, it may work well for 6-12 months and then begin to have problems for seemingly no reason. However, it should not be hard to find an able repairperson. Buying this machine is a risk – but it’s a risk that could very well pay off. 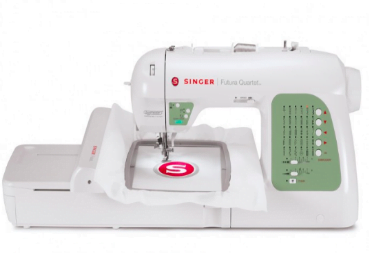 The Singer SEQS-6000 has many appealing features, like the multiple hoop option, and the fact that it doubles as a sewing machine. If you’re willing to go through the hassle of returns on the off chance you receive a dud, then I’d advise you to go ahead and bring a Singer SEQS-6000 home. Easy to use, low maintenance, long lifespan. Can import new designs or use one of the 160+ built in designs, including 6 fonts. Manual offers good explanations, with more materials available online should you need help getting started. Can only adjust design dimensions by 20% in either direction (smaller or larger). This is an embroidery only machine, so you will need another separate sewing machine. While the Memory Craft 400e/500e is certainly not a cheap machine, if you can front the capital, it’s well worth the investment. It’s easier to set up and use than many more affordable models, and it’s unlikely to need expensive repairs in its lifetime. Parts and accessories for this machine may cost more than for Singer or Brother models, but they’re cheaper than (and similar in quality to) those of other luxury brands. If you find yourself frequently breaking needles, or sewing very slowly to avoid breaking needles, you likely need a more heavy-duty machine. These machines can still handle the fine stuff – your chiffons, satins, muslins, etc. – but they’re designed to, with the appropriate needles, punch through leather, heavy canvas, multiple layers of denim, and other thick, unyielding materials. You’re probably going to pay more than for a basic machine, but what you get in versatility (and durability of the machine itself), is usually worth the upfront cost. Primarily metal construction is sturdy and holds up when machine is running at highest speed. As long as the machine is used correctly, it handles heavy-weight fabrics with relative ease. The price is hard to beat. This machine, many users note, is not intuitive. Reading the manual is a must. The lighting is simply insufficient and casts awkward shadows around the presser foot. A secondary light source aimed at the bedplate is required. 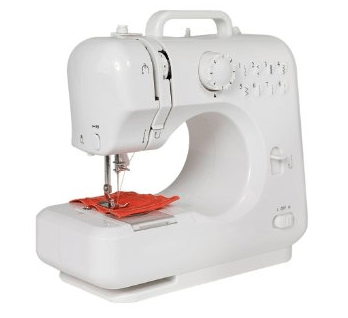 The less intense your heavy-duty sewing needs are, the more comfortable I am recommending this machine. If you’re a generally patient person, and are willing to take the time to learn this machine, it should repay you with a long, hardworking life. If, however, you want to unbox your machine and go, I’d give this one a pass. -Has the appropriate needles and presser feet to handle leather, canvas, burlap, denim, and other heavy-duty fabrics. 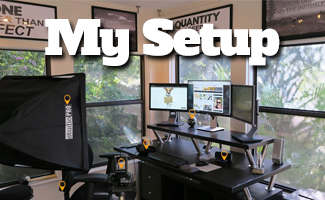 – Easy set up, especially if you’ve used a Brother machine previously. As mentioned previously, it can be difficult to find a licensed Brother dealer/repair person if a problem with the machine should arise. 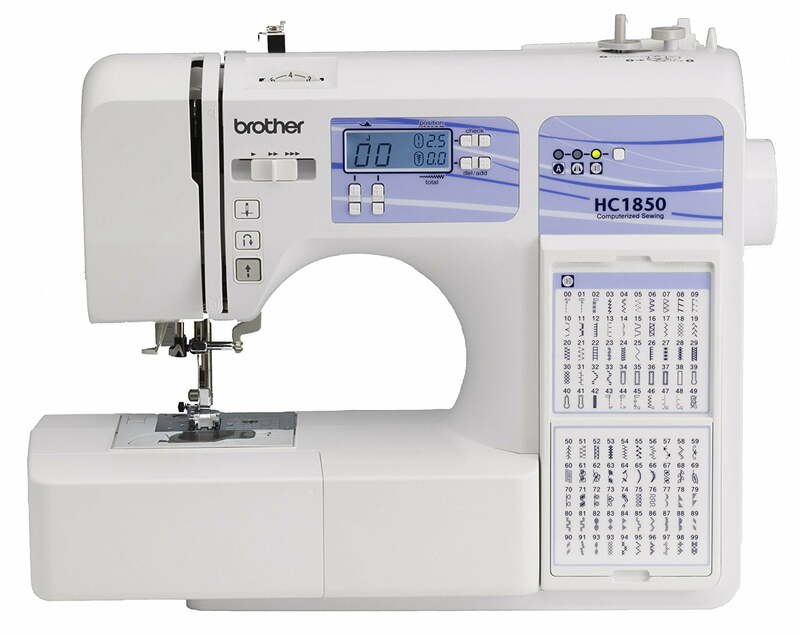 Be sure to look on Brother’s website (http://www.brother-usa.com/homesewing/) to find a dealer in your area. Some users complain that the built in light isn’t bright enough for their needs. A great choice for the home sewer who finds themself using heavy-duty fabrics that are too much for their other machine. Also a good choice for a beginning seamstress who wants to focus on practical sewing (think camping gear repairs) over fashion sewing. 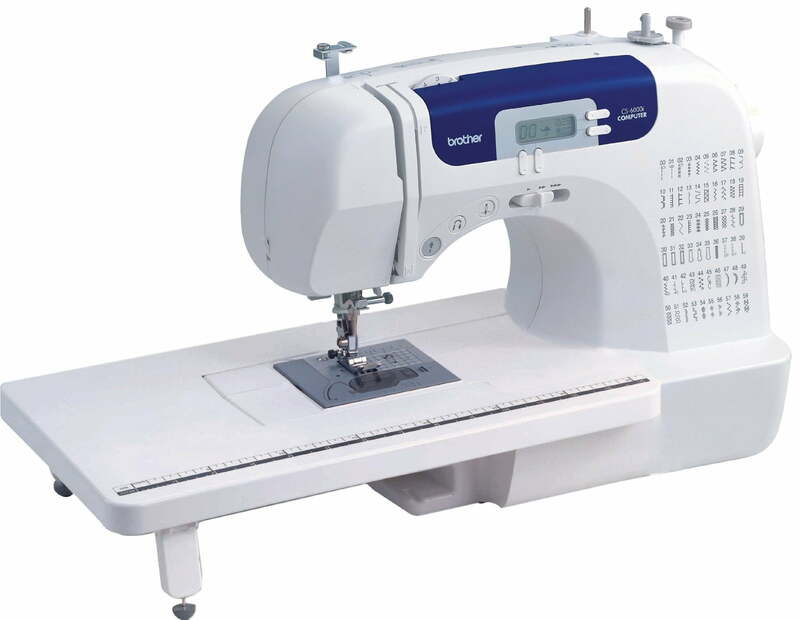 Solid metal construction and powerful motor allow for sewing at high speeds. Simple interface, no computerized components to break. Complete control of stitch width and length. Only 18 stitch choices means most decorative stitching must be done on another machine. Initial price is quite high, but repairs should be few and inexpensive. Weighs just under 19 lbs – not a travel machine at all. 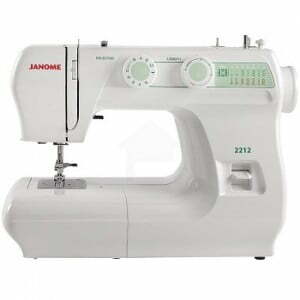 If you’re looking for fortitude and functionality, then the Janome HD3000 is the machine for you. It’s zero-frills, and no-nonsense – which is either just what you’re looking for or a big red flag. Personally, I think it’s better to have a machine that’s great at what it does than to have a machine that does hundreds of things half-decently. Handles all weights and types of fabric with ease. 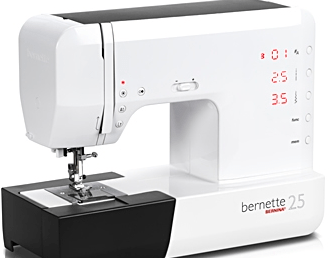 Quality of the Bernina brand at a more wallet-friendly price point. Sturdy construction sure to last for at least a generation. Because this machine is computerized, and the rest of the parts are metal, repairs have the potential to be expensive. It may ruin you for cheaper brands of sewing machines. At 18.6 lbs, this machine is not easily portable. 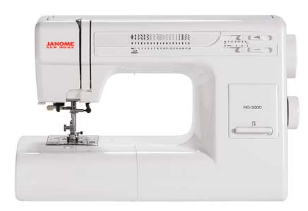 While I’m glad that Bernina decided to make a more reasonably priced line of machines, I think that at $400+, they’re still out of reach for many independent tailors and seamstresses who could benefit from owning such a durable, quality machine. If you have the resources, it’s hard to go wrong with a Bernina. If not, check auction and garage sale sites often – you never know when an older model will need a loving home. Sews through anything and everything. 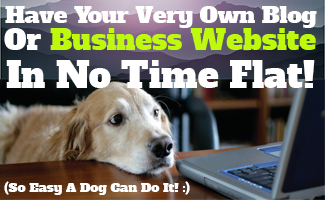 Has multiple feed dog settings (4, instead of the usual 2) for more control. Comes with the appropriate feet for all fabric types, including a walking foot for free quilting. Large worktable gives added stability. Knee lifter and auto thread cutter add convenience. Threading is more difficult compared to modern machines. Bobbin tension may need to be adjusted frequently, especially at the beginning. 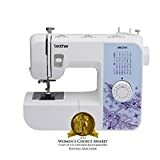 For a quilter – especially if you make quilted bags or other thicker items, this is the best machine for the job at this price point. The same goes for people who work with vinyl and thick canvas regularly. If you’re not making production quantities, however, you may not get the full value out of this machine. 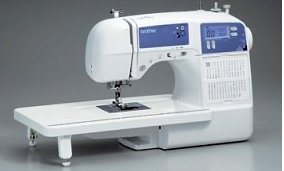 While a serger should never replace your sewing machine, it can highly enhance the quality and lifespan of your work. Take a look inside any pair of commercially sewn jeans for an example of a surged seam. The raw edge of the fabric has been incased in four interlocking threads, which hold the two pieces of fabric together while preventing fraying. If you hate french seams and double rolled hems, a serger will be your new best friend, as any raw edge can be finished quickly by surging, folding the hem up once, and stitching it in place. Surging pieces before you sew prevents the frayed mess that normally comes with sewing silks, lamés, loose weave linens, faux furs, and velvets. And if you’ve ever had dreams of making a patchwork sweater coat? A serger is an absolute must. 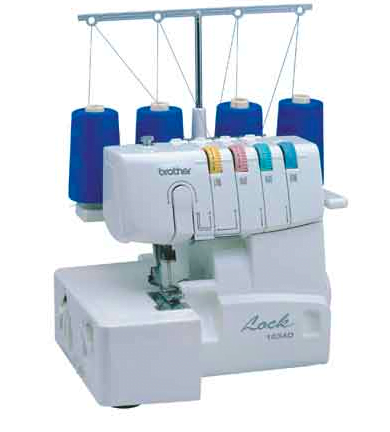 Has 2, 3, and 4 thread overlock stitch options, including multiple rolled hem choices. Differential feed and adjustable stitch lengths allow for use with most fabric types. As with most sergers, threading can be a challenge at first. Several users have trouble with machine breaking several months into ownership. Not suitable for exceptionally thick materials, like heavy vinyls or faux furs. 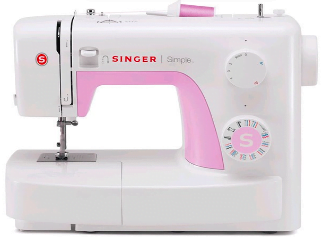 For a first serger, the Singer 14CG754 is a good choice for most. Dedicate several days to learning how to thread and use it, and it should treat you well. Be sure to test the machine on several different types of fabric, and using all the available stitch options, within two-three weeks of receiving it, in case you should need to process a return due to defects. 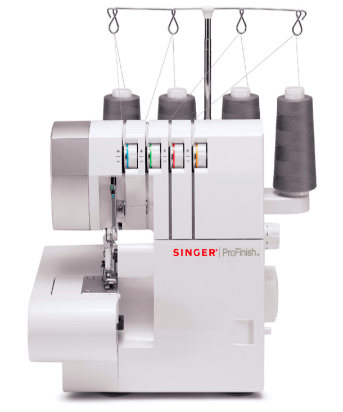 Has all the features of the Singer 14CG754 except 2-thread stitching. Easy to switch knife on and off. Easier to thread than many home sergers. Compatible with regular thread spools and machine needles. Comes with 2 additional presser feet for blind hems and gathering pleats. No 2-thread rolled hem option, likewise no chain stitch option. Not suitable for industrial weight materials (I broke mine trying to feed it too many layers of sweater-weight knits). If it does need repairs outside of the one-year warranty period, these can cost more than the machine itself, depending on the part and how far you have to drive to find a certified dealer. While this is generally a more reliable machine than the above Singer model, it runs $50-75 more most of the time. If being able to do a chain stitch (a type of basting stitch) is important to you, the Singer might be a better choice – just be thorough in testing your new machine. The rare dud 1034D is quickly and easily replaced by Brother under their generous warranty, so you don’t have to go through the online retailer unless your machine was damaged in shipping. Treated well, a Brother 1034D should happily surge on for years. Handles high volumes of use with ease. While only rated for up to medium-weight fabric, users share that it handles heavy-duty projects just as well. Powerful motor is relatively quiet, and machine vibrates minimally when running at high speeds. Compact design is great for small spaces. Adjustments to the knife settings and hem settings are a bit less intuitive than for the Brother 1034D. Harder, but certainly possible, to adjust the left side casing for cuff/armscye sewing. 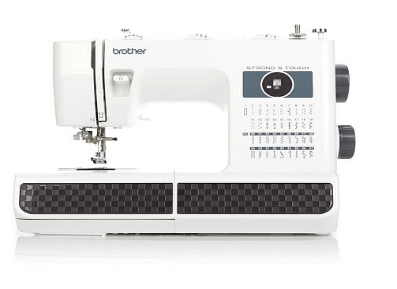 This machine is a real workhorse, and will follow wherever your sewing endeavors take you. 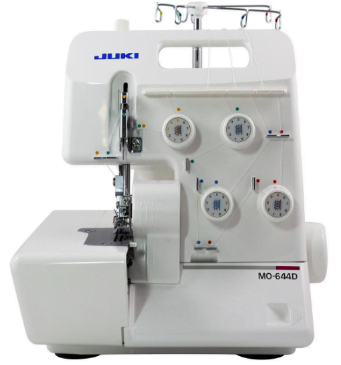 While it might take a little bit longer to learn how to adjust the settings on the Juki MO644D, once you’ve mastered it, you’ll have more intimate knowledge of the inner workings of your serger, and likely better control over the outputs. Beginner Quilters have a large variety of machines to choose from in today’s market. Take any beginner quilting class and you will have more opinions regarding the best machine for quilting, and that alone can be overwhelming. New Quilters not only face the eye opening expense of getting into quilting, with all their new supplies like rotary cutters, mats, fabrics, and a quality seam ripper, they also have to be able to find a machine that will not fight with them every stitch of the way. We can look back at our mother and grandmother machines and see that they had heavy steal machines that were in cabinets. They were not portable, and were considered a piece of “functional” furniture. Pictures from the 1950s and 1960s show the sewing cabinets in the living room. Many of these sewers were taught in their home economics classes and were able to produce quality garments taught by a well-educated teacher in garment sewing. They were not forced to taking their machines to a class across town. When the huge boom of quilting made its appearance in the 1980’s there were television shows by Eleanor Burns showing teaching great quilting techniques. Quilt shops started popping up everywhere and classes were scheduled. The sewing machine industry got to work and began making more portable machines. Machines went from weighing a hefty 38 lbs. down to about 18lbs. This was more manageable and competition with computerized machines led to some of the best quality machines with more bells and whistles to make sewing fun. If we could travel back in time and show our grandmothers the modern machines, they would be thrilled to have automatic needle down, automatic thread cutting, the incremental movements of the needle, decorative stitches at the touch of a button, and easy drop in bobbin. Their decorative stitches involved switching out cams. There is actually one machine I can think of from the 1950s that was ahead of its time. It was called the Elna Grasshopper. It was aluminum, thus a reduction in weight, and its case folded out into a table. The first machine capable of automatic reverse feed stitches, created a new benchmark for domestic sewing machines, with decorative and practical stitches such as overlock and stretch. While this machine was ahead of its time, it is that forward thinking that made the modern sewing machines with their hundreds of stitches increase in cost with modern prices from $99 up to $14,000. Let us narrow down though the actual needs of a new quilter, so that buying decisions won’t lead to hours of reading endless reviews, and nervousness about parting with hard earned cash. Quilters usually come over from the sewing world. Most were garment sewers or craft sewers from a previous life. With the average age of a quilter today at 65, many of these ladies were the ones making suits in their 1960’s home economics class. They have already had experience with the Singer Sewing machine, which were prevalent in the schools during that time. They are familiar with the parts of the machine. They are leery, more fearful, of touching the tension. If you moved the tension dial on a 1960’s Singer a little too much, an afternoon could be spent trying to get it back to normal. So when you tell them it is okay to touch the tension, they look at you like you are trying to get something past them. These sewers are familiar with the basic feet, because as I mentioned, they have sewn clothing, home décor items, and small items for children. To get started with quilting, there are the essentials that machine must come with, or should be able to be purchased separately for that machine. A WALKING FOOT- This foot is used after all the piecing work has been completed. It is an unusual looking foot that is designed to provide an extra set of feed dogs for the top of the fabric being sewn. Normal sewing only requires the bottom feed dogs to pull the fabric through as the top needle is stitching. With the addition of batting, the fabric on top begins to slip or slide away from the bottom layers and the fabric becomes offset. Adding a grip at the top or another set of feed dogs allows the fabric to pull through succinctly and thus reducing any slipping of the fabric. This foot is also versatile for sewing fleece and projects that require multiple layers. A ¼” FOOT- used in piecing, this foot usually comes with a bar on the right side of the foot to keep fabric from walking away from the needle. This foot should have an opening where the needle comes down, to allow the needle to move to the right, which allows a scant ¼” seam. A scant ¼” seam allows for the fabric to maintain its accuracy after the seams have been pressed by a hot iron and laid flat or presses to the side. An APPLIQUE FOOT- this foot allows for decorative stitches that are used in Applique. Applique is defined as attaching one piece of stabilized fabric onto another piece of fabric. The open-toe pictured is particularly helpful because you can see the placement of each stitch. Most of the popular stitches used for this foot are the zigzag or satin stitch, and the blanket stitch. Applique is one form of quilting that is very popular. FREE MOTION QUILT FOOT- is used to “quilt” the top fabric, batting, and backing together after the piecing has been completed. The feed dogs are lowered and the quilter moves the fabric freely under the foot while the machine stitches the layers together. This foot keeps pressure on the fabric, to prevent the thread from getting tangled as it comes up from the bobbin. It bounces up and down while the quilter moves the fabric. Tension must be adjusted when using the free motion foot. THE ABILITY TO LOWER THE FEED DOGS (FREE MOTION)- when using the free motion foot to quilt the three layers, (top, batting, backing), the feed dogs must be lowered in so that they do not continue to pull the fabric while you are moving the fabric around freely. STRAIGHT STITCH THROAT PLATE- this throat plate allows for piecing smaller pieces of fabric and prevents the fabric from being sucked into the bobbin area. These plates are usually included in higher priced machines, but can also be found as a separate attachment in mid priced machines. 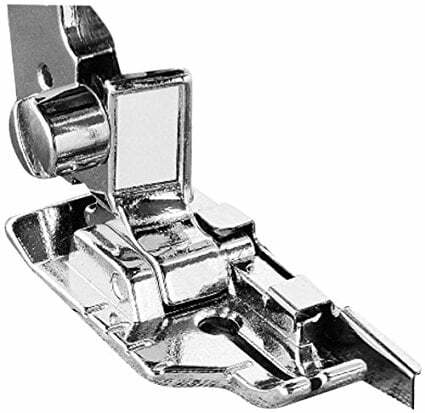 KNEE LIFTER – This handle is placed on the front of the machine and hangs down near the quilters knew. 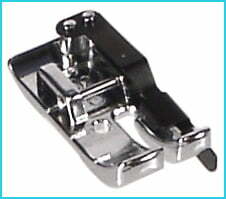 It raises and lowers the presser foot and reduces the need to manually raise and lower the presser foot while moving the fabric during applique or other fabric movement techniques. QUILTING TABLE- this extension aids the movement of large patches of fabric. The weight of a 60” x 80” fabric top drags and tends to fall off the work surface. Having the extension table keeps the fabric level and reduces the drag. This also helps reduce strain on backs and shoulders while working. Beginner quilt sewing machines have some very specific traits. They new quilter will find these are similar across many of the brands available in a big box retail market, like Amazon, and Walmart. The expectation when shopping should be to understand what makes these good beginner machines, with the understanding that if they do get serious about quilting at some point, they will want to upgrade their machine. Below are beginner quilt sewing machine traits. PRICE POINT- Beginner quilters are not sure if they would like quilting. They are reluctant to spend more than $500 on a something that they may lose interest in. There are machines available for under $500 that will be able to accomplish the basics of quilting for a beginner. SMALLER AREA FROM NEEDLE TO ARM- Beginner quilters that have made garments will not notice the small area to the right of the needle as being problematic. Once they begin constructing larger blocks and rows this will become noticeable. This area is usually about 6” and for one quilt block that is reasonable. The issue becomes when there are 12 blocks that once sewn together measure 40” x 60” the ability to squeeze all that fabric through a small area becomes difficult and hard to maneuver. 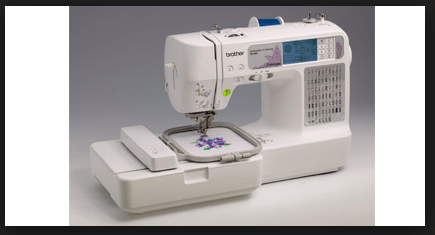 MAINTENANCE – Machines made for beginner quilters are often called “throw away” machines. Why? Because when the machines wear out, they cost more to fix then to go to the store to buy a new one. Some of the machines are molded together and cannot be opened to do basic repairs to the belt or the bobbin winder. Many of the manuals tell the consumer to “not” oil the machine. They are to clean out the bobbin area, and not add oil. In some cases they will tell the owner to oil the bobbin casing area. This is actually very important to keep the hook and race running smoothly, and should be done after every two hours of sewing. This will come as a surprise to garment sewers because their manuals on their Singers and Kenmoore machines directed them to the oil ports and told them to oil the machine after so many hours or bobbin changes. The secret here is that the machines do need oiled. Anything that has an up and down movement to it, needs oiled. On a sewing machine, that is the take up lever, the needle bar, and the thread cutters. Machines will seize and no longer function properly if oil is not applied. 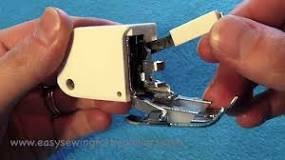 Basic repairs to machines tend to start at $65.00 from a certified sewing machine repairman. Of course, the more the machine is used the time frame with the longevity and reliability of the machine diminishes. 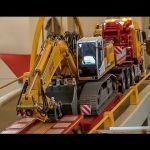 The same statement can also be made with regards to pushing the machine and its motor past its level of capability. The less expensive beginner machines are not very heavy due to the plastic housing inside, and this can be a problem when a quilter is trying to sew through thick layers on large quilts. The machines tend to “walk” and besides pushing the limits of the motor, you often end up chasing the machine around the work surface. Plastic parts can be found in all sewing machines, whether they cost $100 or $14,000. But plastic equals grease, and that is another reason that beginner machines tend to get thrown away. Those plastic parts will need greased and the maintenance charge to do that is unrealistic. SUPPORT/WARRANTY- Machines that are bought through a big box retailer or online have similar warranties, that protect the companies from having to replace the machine. The consumer can return a product to the manufacturer, but only if the manufacturer agrees to it. 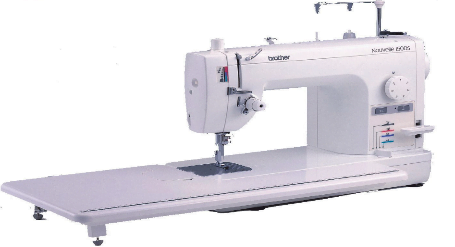 Whereas a machine bought from a sewing machine dealer, has far more success in not only getting the machine serviced properly and regularly, any major repairs are handled in house and not often sent back to the manufacturer for full replacement. The manufacturer warranty states typically 25 years. As with anything the buyer needs to read the fine print to that warranty. Below is a standard warranty given for the “throw away” machines. Many reviews reported customers that were surprised, annoyed, and felt as though the warranty was unfair for what they had purchased. 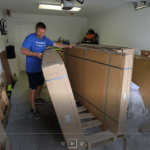 The shock of finding out the cost of a simple repair or maintenance cleaning was noted several times when they had to take it to a authorized local repairman. Buying a machine from a reputable sewing machine dealer does have its good points. You have a local repairman that knows about that particular machine, its quirks, and how to adjust everything smoothly. The warranty usually starts with 5 years on electronics, 3 years on labor, and 25 on manufacturing. Free classes are typically offered as part of the purchase and a really good dealer will give you a free cleaning for two years. Machines that are used almost daily should be thoroughly cleaned, oiled, and greased yearly. Knowledge is the key with buying from a dealer. They can often pinpoint the right machine for where the customer is in their skill set and what they hope to achieve. Easy automatic needle threading– good for easily getting that little tiny thread in the hole. Note- this is not computerized. It is a manual function. Needle Up/Down- one of the nice features of having a needle up/down is when you are appliqueing and you want to turn your work without the needle moving. This function allows you to keep your needle in your fabric and pivot at the same time. 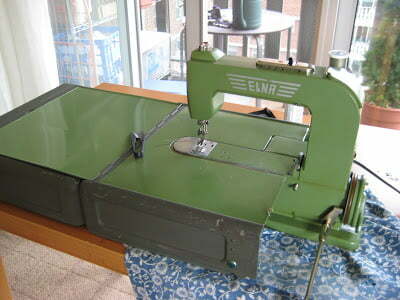 Free-arm sewing machine– in case you decide to hem a pair of pants. Electronic speed control– good for learning, because your foot control may cause you to sew too fast, and this will keep you from moving too fast. PROS- this machine is only 13 lbs. and can easily be taken to beginner quilting classes. It has stitches that are friendly for piecing, applique and quilting. The machine has a preset ¼” stitch button for the needle to position itself for piecing. The throat is a bit shallow for quilting. If you use this for quilting, stick to lighter, manageable material, and smaller quilts. The machine is only 13 lbs. This can be a problem with trying to sew rows of quilt blocks together, as the machine will walk across the work surface. It does not come with a ¼” foot. Metal Frame Construction– means there is weight in the head and the machine is sturdy and will not walk across the work surface. Easy turn dial pattern selection-if computerized machines make you nervous, for fear that if the computer board breaks you will be out of a machine, this will remove those fears. 12 built-in stitches – which are located on the front of the machine with pictures. Drop feed dogs- for free motion quilting, no throat plate cover, which means you don’t need an extra attachment to drop the feed dogs and begin free motion quilting. Weighs 13 lbs. – easy to transport to beginner classes, and if you do not have a dedicated area for sewing it is easy to move to a storage area. **You need to purchase the kit specifically for this machine. Be sure to get the Janome front-loading 5mm foot, the generic and other brands of 7mm will work but the needle ends up on the left and it’s hard to tell where your seam is going to end up. Pros-It’s plain and simple to use. Enough is not said about manual machines. They are usually more precise in their stitches and hold tension far better. Cons: The wheel must be hand turned to get the needle positioned correctly before starting a new seam, or will jam every time you start stitching. Be sure to always turn the hand wheel towards yourself. This machine has a front-loading bobbin, which means you are taking out the bobbin holder and placing a bobbin in the machine holder at the front of the machine. This procedure can be hard for beginners to get the hang of, and you will have to remember to hold the bobbin and top thread when you begin to stitch to prevent knotting on the back of the fabric. Speed Adjustments: There are three sewing speeds offered to sew quickly through thin material, or slowly through thick material or difficult patterns. This is useful for applique and working on small pieces of fabric. Special Quilting Features -include a detachable wide table, spring action quilting foot, 14 quilting stitch functions, and the ability to do free-motion quilting. Extension Table– the machine comes with an extension table. PROS- The machine has lots of stitches for quilting, applique, piecing and quilting. With the extension table a small quilt can be easily accomplished. CONS- the small area from the needle to the arm is 6”, but the curve at the top will limit the ability to roll the quilt and maneuver it will free motion quilting or using a walking foot. The machine boasts 14 Quilting stitches but does not include a ¼” foot, nor a walking foot. You will need to purchase a ¼” foot for this machine and walking foot. LED Display- for stitch selection and dual LED workspace lighting system- lighting is extremely important while sewing. Eyestrain is reduced and fatigue does not set in as quickly. Variable Speed Control– good for learning, because your foot control may cause you to sew too fast, and this will keep you from moving too fast. Start/Stop feature– good for quilters that may have numbness or trouble with their feet. Pros- The needle threader on this machine does not snap back and this allows the user to take their time while threading the machine. Lots of quick time buttons on the front. You don’t have to search through 294 stitches to find the ones you use the most. Cons- some buyers had issues with the automatic tension adjustment. Modern times dictate that we adjust the tension. The threads that are available for every type of quilting vary and will therefore create the need to adjust the tension. You will need a ¼” foot for this machine. Memorized Needle Up/Down- memorized means that once you hit the button it will continue to drop the needle into the fabric every time you stop sewing. With regular up/down, you need to push the button each time you stop sewing in order to drop the needle to make it go into the fabric. Locking Stitch Button- garment sewers are used to back stitching at the beginning and end of every seam. In quilting you do want to do that, as it adds bulk in the seam. With a locking stitch, the machine adds 3 stitches with little movement allowing the seam to be secure without adding bulk. Speed Control- There are three sewing speeds offered to sew quickly through thin material, or slowly through thick material or difficult patterns. This is useful for applique and working on small pieces of fabric. 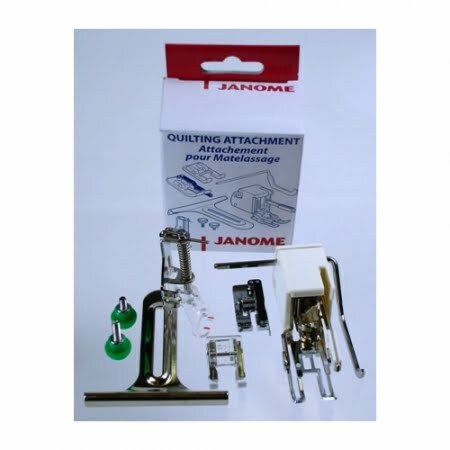 7-piece feed dog that ensures precision fabric control- Having a 7 piece feed dog is a priority with Janome. For quilting, the precision has to be perfect. And Janome has made this standard on all their computerized machines. 30 stitches- includes the coveted blanket stitch for applique. 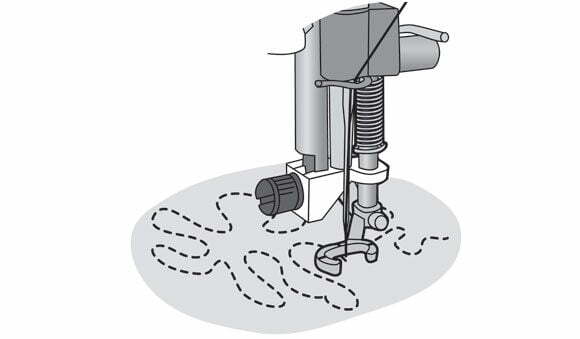 Free Motion Quilting- this sewing machine can free motion quilt without a darning plate to cover the feed dogs. You can flip a switch and the feed dogs will drop. Handy carrying handle– this would be a great machine to take to a beginning quilt class. It only weighs 18lbs., which is easily manageable. Pros- Metal construction ensures that it will not walk across the work surface while sewing bulky or heavy projects. CONS- the small area from the needle to the arm is 6”, and beginner quilters that want to make bigger projects and quilt the three layers themselves will probably want to upgrade to the 11” space areas that are available. 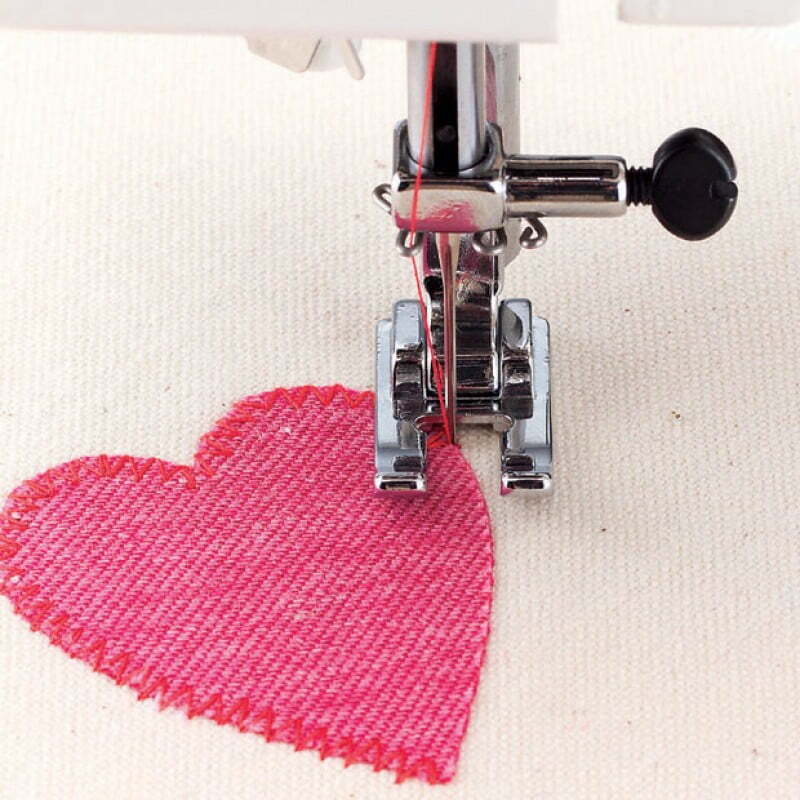 Once you have purchased a machine you will want to take some beginner quilting classes. There are several options available. The most successful option is to take a local quilting class at a quilt shop. Enough cannot be said about meeting with other beginner sewers and learning hands on. The completion rate of a first time project is over 90% because the environment for learning and one on one interaction motivates the beginner to finish. Beginners will be taught everything about fabric, needles, tools, pattern reading and pitfalls. 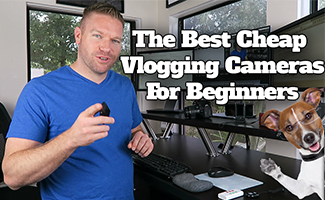 Seeing other beginners learn right along side you will build confidence and questions can be answered quickly. Prices will vary based on region and shop. Much can said about learning from videos. There are thousands of YouTube videos that teach technique, but very few that take you from beginning a quilt all the way through to its completion. YouTube is great for answering quick questions on tension, thread, uses for different feet, and other questions that may crop up. Cost is FREE. 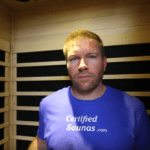 Craftsy has taken online education to a new level. Where else can you sit in your jammies and learn to quilt? The prices for the classes are inexpensive and you always have access to the class once it is purchased. Their instructors are pioneers in the quilting industry and will teach everything from beginner to advanced quilting. The lack of camaraderie and the inability to have a question instantly answered is a drawback. There are ways to ask the teacher a question and students can share their experience, but it is not one on one interaction. Along with that is the motivation it takes to completely learn a precision driven skill. It takes a very strong sense of dedication to completing an entire quilt from start to finish on ones own. I hope you have enjoyed our review of the different sewing machines for quilting and their accessories, Pros and Cons. The quilting experience can be quite enjoyable with a good machine, good fabric, and good instructions. As with any new hobby you must learn the proper techniques and keep improving upon your skills to become more accomplished. These machines will help get you on the right path with quilting.